The term, "Centre of Excellence," came into use in connection with a $709,000 federal grant to support the Computer Communications Networks Group on campus. Honeywell donated $250,000 worth of auxiliary equipment that could be used with the 6050 (Ponzo 52). James W. "Jim" Welch finished his PhD thesis entitled "Towards the Effective Implementation of Descriptive Storage." Directed by Wes Graham, this was the second thesis on software written at UW. Welch went on to become a leading software developer in the CSG and later at WATCOM. Waterloo SCRIPT was developed as one of the early text formatting systems. One version of SCRIPT was created at MIT and the AA/CS at UW took over project development in 1974. The program was first used at UW in 1975. In the 1970s, SCRIPT was the only practical way to word process and format documents using a computer. By the late 1980s, the SCRIPT system had been extended to incorporate various upgrades. (Cowan, Graham, Mackie et al. 29). 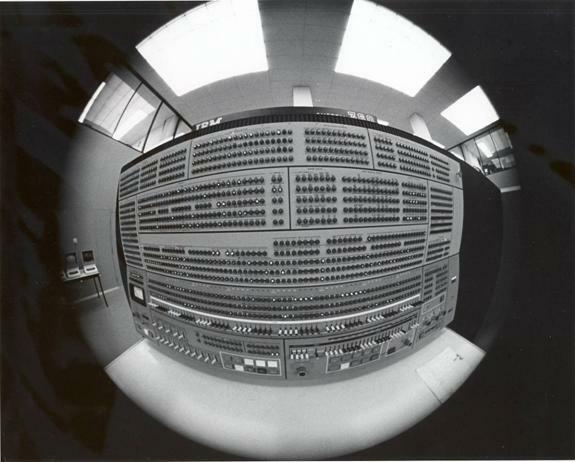 In 1974, the Computing Centre arranged an exchange of computers with CSG and upgraded their machine to an IBM 360 Model 44. One of the advantages of the acquisition was faster execution of APL programs. The installation of a new emulator program also aided this process. UW Special Collections. GA 133-949. Wes Graham Fonds. Series 4.1: UW Files to 1973. Shirley Melen, "1974 In Review." The Computer Centre Newsletter. (January, Issue 1975-4, Shirley I. Melen, ed. ), 3. In July 1974, the 370 Model 145 was replaced by a two megabyte 370 Model 158. New peripheral devices were also added: these included 3300 disk spindles, four new dual density tape drives, and several 3270 display terminals. UW Special Collections. GA 133-949. Wes Graham Fonds. Series 4.1: UW Special Collections. GA 133-949. Wes Graham Fonds. Series 4.1: UW Files to 1973. Shirley Melen, "1974 In Review." The Computer Centre Newsletter. (January, Issue 1975-4, Shirley I. Melen, ed. ), 3. On 1 September 1974, the data cell was removed from the IBM 360/75. The user files, documentation, and software packages contained on the data cell were moved elsewhere. Faster disk drives with larger capacity replaced the device which had been at the centre since 1968. UW Files to 1973. Shirley Melen, "1974 In Review." The Computer Centre Newsletter. (January, Issue 1975-4, Shirley I. Melen, ed. ), 3. Between October and November 1974, Data Processing moved its workload from the 360/75 to the new 370/158. In the mid-1970s, the IBM 360/75 was being re-equipped with new internal and peripheral hardware. This picture shows the 360's control console circa 1968. This photo also uses a unique "fish-eye shot." Photo courtesy of UW Special Collections/Don Cowan. In 1974, a new version of WATFOR was introduced, known as Structured WATFIV, or WATFIV-S. The program was developed to allow FORTRAN programmers to design and write programs in a structured manner. WATFIV-S, written primarily by Ian McPhee, contained command statements aimed at encouraging better programming. UW Special Collections. GA 133-949. Wes Graham Fonds. Series 4.1: UW Files to 1973. Shirley Melen, "1974 In Review." The Computer Centre Newsletter. (January, Issue 1975-4, Shirley I. Melen, ed.). In 1974, the Waterloo Foundation for the Advancement of Computing (WATFAC) was formed as a charitable organization for the promotion of computing. WATFAC's status as an official charity allowed it to take delivery of a PDP—11 minicomputer from DEC, a major computer manufacturer from the 1960s to the 1980s. Three programmers employed by WATFAC (Terry Wilkinson, Jim Welch and Jack Schueler) wrote a new implementation of WATFOR for the PDP-11, it was known as WATFOR-11. Later, they wrote WATBOL-11, a new version of WATBOL for the PDP-11 Before this was completed, Ian McPhee joined the team. UW Special Collections. GA 133-949. Wes Graham Fonds. Series 4.1:UW Files to 1973. Carol Vogt and Shirley Melen, "PDP 11 WATFOR—or How to Write a Compiler on a Shoestring." The Computer Centre Newsletter. (May, Issue 1975-4, Shirley I. Melen, ed. ), 2-3. 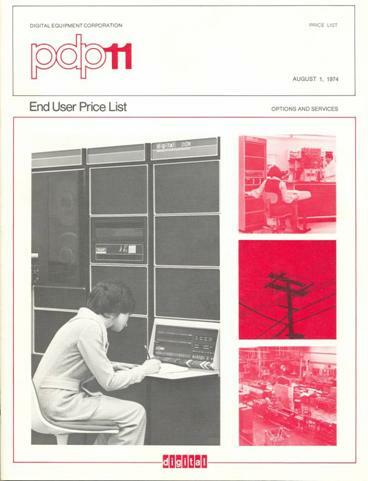 This image shows the PDP-11 price list in the Wes Graham Collection at UW. Graham may have referred to the price list, but he and his colleagues did not have to pay the going rate for their PDP-11. Instead, DEC donated one of the computers to Graham's newly created WATFAC in late 1974.